April 27, 2019 - 11:00 a.m. NOTE: To go to the previous page, click on your browser's back button. Please enter the purchaser's full name. Please enter an email address where we may contact you or the passenger regarding the status of the flight. 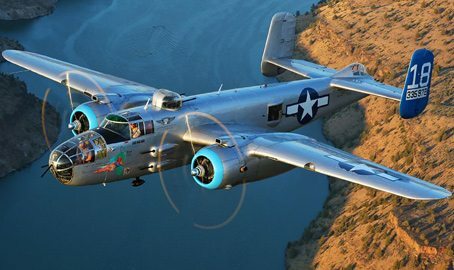 PLEASE NOTE: By providing your email address you consent to receive messages from the Arizona Commemorative Air Force Museum. You can opt out at any time. Please enter a phone number where we may contact you or the passenger regarding the status of the flight. Please assign all passengers to a seat. If you would like to remove a seat listed here, please return to Step #1 by clicking Previous Step below. The total cost of all seats booked for this flight. Please enter a coupon code if applicable. Please enter your payment information to complete your reservation. NOTE: ALL PRICES ARE IN USD. I have read and agree to the disclaimer for this flight. All passengers must be 12 years of age or older. Minors who fly (age 12-17) must have their guardian complete a Minor Hold Harmless agreement and the guardian(s) must be present on the day of flight. There is a minimum number of passengers required to fly this aircraft. If the minimum is not met 24 hours prior to flight time, the flight will be cancelled.